Pumas are known by many common names including cougars, mountain lions, panthers, catamounts and others. Pumas eat a wide range of medium and large-sized animals, from rabbits to deer. Pumas can live wherever their main prey—deer—roam. Speedy and large—at 85-190 pounds—they can tackle a healthy deer by themselves. 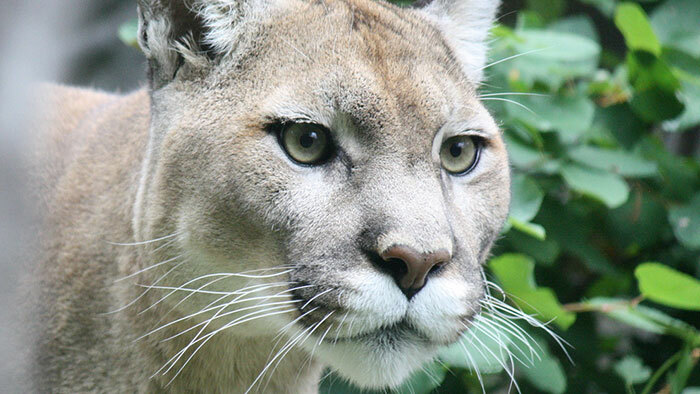 The puma is protected over much of its range and is listed as Special Concern in Minnesota. There are sometimes puma sightings in Minnesota, but there is no evidence of a breeding population in the wild. In California and Florida, many animals are killed by vehicles when they try to cross heavily traveled roads. Probably due to their wide range across North and South America, pumas are known by several common names. Linked to speed, strength, and cunning, the names “puma” and “cougar” are popular names for sports teams, athletic shoes, and cars. Pumas can run up to 43 mph, jump more than 20 feet from standing, and leap up to 16 feet straight up. One was even seen jumping 12 feet into a tree with a deer in its jaws. Although pumas can make a wide range of cat noises (hisses, growls, purrs), they cannot roar. Instead, they are known for their distinctive “scream-like” calls made during the mating season. Pumas are excellent swimmers, but like most cats, prefer not to get wet. Pumas are important to the ecosystem because they are top predators. Top predators reside at the top of a food chain and have no natural predators. Removing a top predator can unbalance the ecosystem by leading to too many prey animals, with resulting negative impacts on plants. Pumas are increasingly affected by human population growth. They are often found in habitats that have been broken up by highways, ranches, and farms. This can lead to conflict between humans and pumas. Pumas are sometimes killed by cars or when they attack livestock. Finding ways to co-exist with wildlife is important for the conservation of animals like pumas. For example, in areas heavily populated by humans such as California and Florida, highway crossings and underpasses can help save pumas as they cross roads. The Minnesota Zoo provides a home for rescued puma kittens, as part of the Puma Species Survival Plan (SSP). This SSP is different from other SSPs in that it is not a breeding program. Rather, it is a way to find placement for pumas that cannot survive in the wild. Since 1985, the Minnesota Zoo has welcomed more than ten orphaned puma kittens. In 2013, the Minnesota Zoo supported the Bay Area Puma Project through the Ulysses S. Seal Conservation Grant Fund. 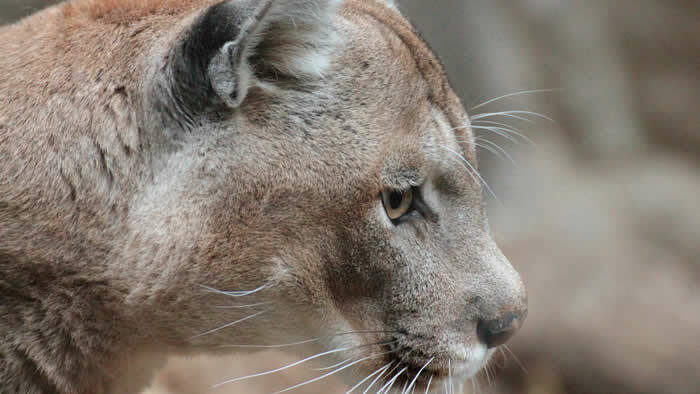 The project’s goal is to increase knowledge and awareness about puma populations in and around the San Francisco Bay Area through research, education, and conservation. They hope to reduce tensions between people and pumas, protect key habitats, and increase understanding by collecting data on puma movements and biology.